October 15, 2016 5:07 pm. 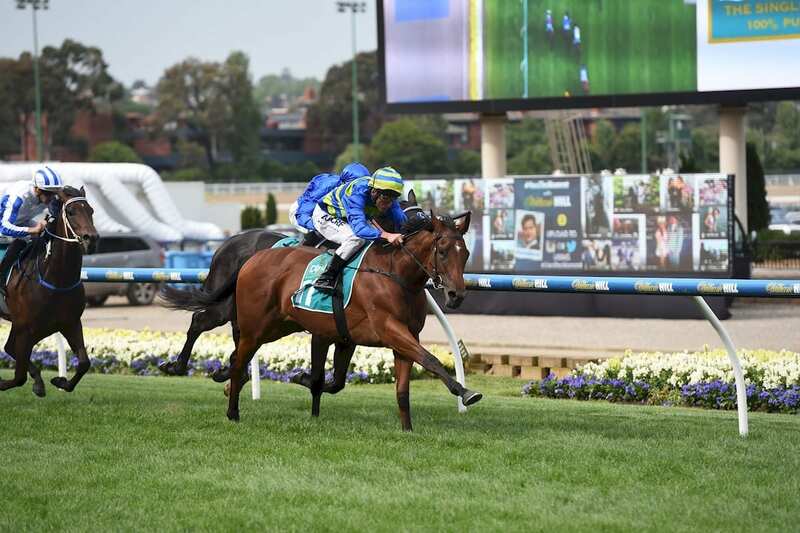 THE Caulfield Cup stays on home soil after the Ciaron Maher-trained Jameka took out the $3 million feature at Caulfield on Saturday. The four-year-old was well-backed throughout the week at $4 with CrownBet.com.au and come the end of the 2400m race there were no challengers in the same class as the quality mare. After receiving a brilliant ride from Nicholas Hall, the daughter of Myboycharlie stamped its authority in the straight by clearing out over chasing internationals Scottish and Exospheric to record one of the most comprehensive Caulfield Cup wins in history. “He’s (Maher) done an exceptional job and he’s such a great trainer of campaign horses,” Hall said. Maher knew there was plenty of pressure to training a Caulfield Cup favourite and he had his team back at home to thank. “When you’re favourite it puts an extra bit of pressure on,” Maher said. “Great job by the team. There’s nothing better than winning a Caulfield Cup. There was never a moment in the race where Jameka looked under pressure which allowed Maher to stay calm throughout the run. “I was pretty calm, Nick had her in a pretty good spot, he looked confident all the way,” Maher said. Maher will now target the Melbourne Cup where Jameka has crashed into $6 at CrownBet.com.au – on the same line as Hartnell. Two quality international runners filled the placings with Scottish ($7) holding on well for second and Exopsheric running on nicely in third. $60 chance Almoonqith made good headway in the straight for fourth which resulted in a first four payout of over $7000.